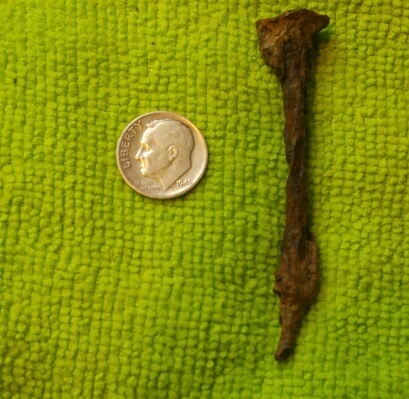 It's just a Rosie but thought it was cool to find it in the same hole as a nail. I guess these old 'outdated' analogs can unmask too. Ha! It was so loud I thought it was shallow but still over 8". I forgot how deep a good CZ can go. Edited 2 time(s). Last edit at 04/04/2019 10:59AM by Harold,ILL..